Not quite sure where my sudden obsession with triangles came from but these things around my home are pretty awesome, if I do say so myself! I recently started dabbling in gardening and that comes with a lot of planters and pots shopping. 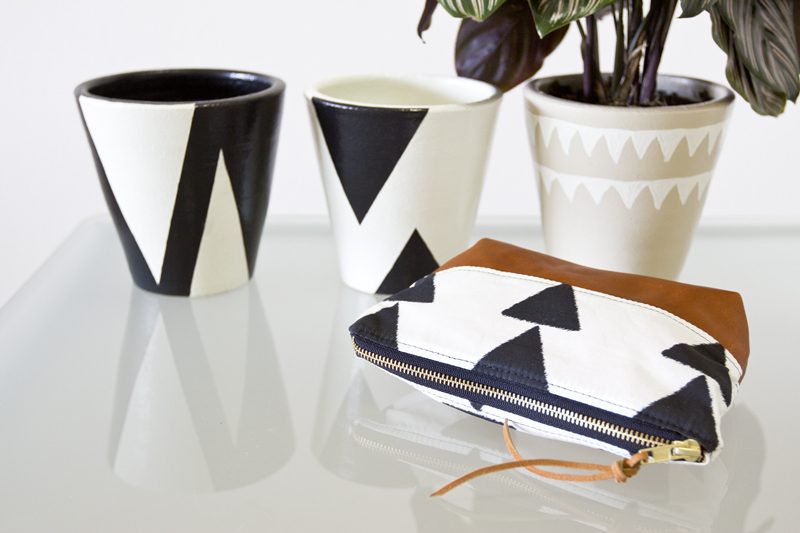 I was so excited to find ScottAve which is an Etsy shop full of hand painted planters with modern, geometrical, and minimal designs. The three I got look great individually as well as together as a set. I am a bit peculiar when it comes to which plant goes in which pot so that's why the two black and white ones aren't occupied yet. Soon though. 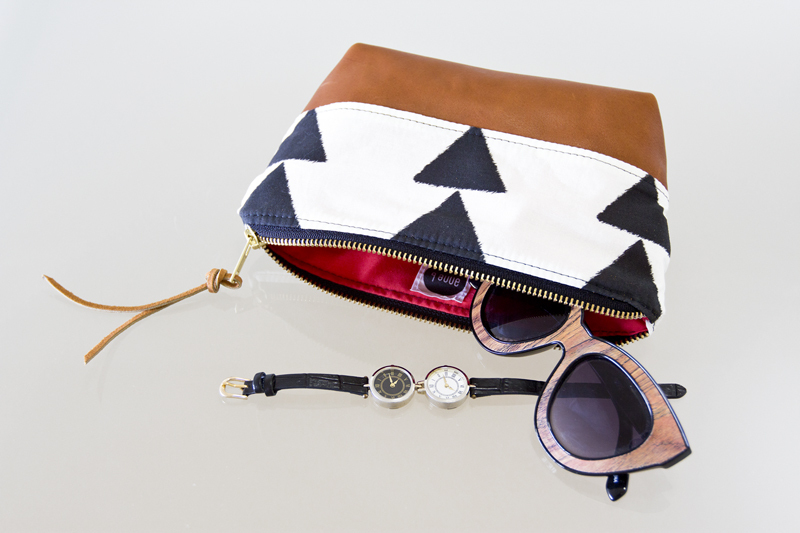 Another wonderful piece I have with triangles is this leather and canvas pouch by Anne B Designs. This bag, part of the Made Collection, is available for pre-order through an Indiegogo campaign that will in turn perpetuate the development of a sewing school. Hurry though, the campaign ends tomorrow! 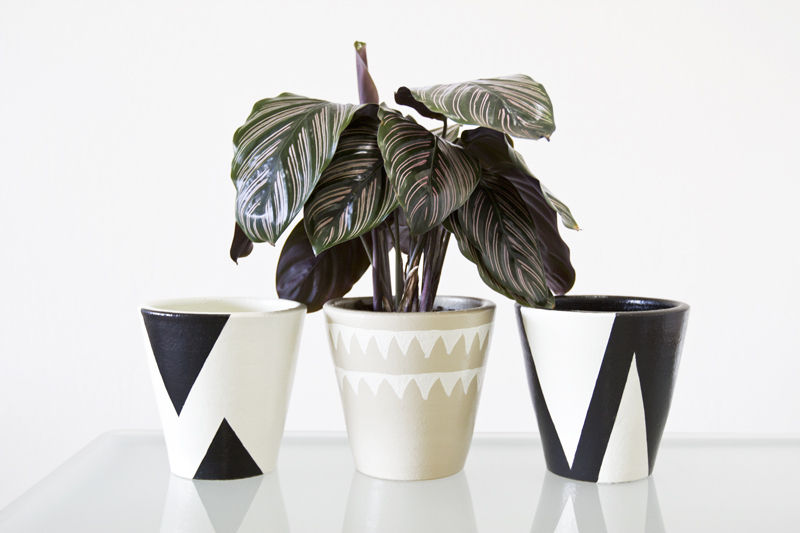 Hand painted terracotta planters c/o ScottAve. Aspen cosmetic bag c/o Anne B Designs.